Motorcycles became popular in the early 1900s as technology improved and made them more dependable. They were modeled after a bicycle with various sources of propulsion. As of 2000, there were just over four million registered motorcycles in the U.S. Today that number has doubled to more than nine million registered drivers. Safety laws have slowly increased throughout the country to account for the high probability of motorcycle injury and death due to an accident. As far as federal motorcycle safety requirements, the government does hold motorcycles to have certain functions such as specific brake systems, controls, and other necessary equipment. Currently, each state has a say in what safety requirements they want to impose on their motorcycle riders. Texas, for instance, does not require riders to wear a helmet if they are over the age of 21 and have proof of motorcycle training or have medical insurance to cover possible injuries. Another example is that some states allow lane splitting, the act of weaving in and out of lanes or between vehicles while in traffic. California does authorize riders to do this while other states like North Carolina do not. It is important to be aware of each state’s motorcycle laws when traveling across state borders. Not knowing a law doesn’t mean the law won’t be enforced. Various states do require motorcycle riders to complete a safety test to receive a motorcycle license. In most cases a course is required for first-time riders and those under the age of 21. 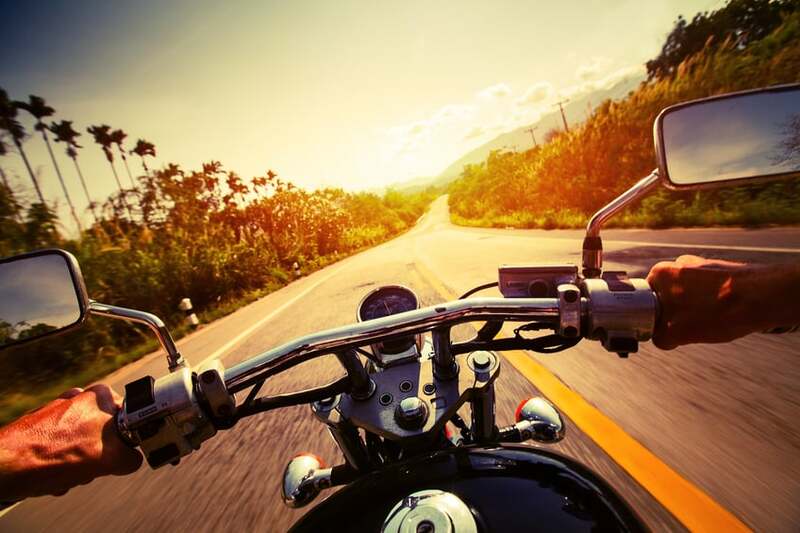 Some states do not offer specific motorcycle courses to ride a motorcycle. To find out if your state requires a motorcycle safety course contact your local DMV. (http://www.dmv.org/dmv-office-finder.php) Even if your state does not require a course, take the course can be very informative on your state’s laws and requirements while discussing other motorcycle recommendations. According to data collected by the National Highway Traffic Safety Administration, 56 out of every 100,000 registered motorcycles are involved accidents compared to 9 out of every 100,000 passenger cars. A motorcyclist is much more likely to be injured in an accident because they do not have a metal frame or airbags to protect them, like most cars. The Motorcycle Safety Foundation recommends having a waterproof riding suit for avid riders, hearing protection, helmet (a helmet that covers the entire face with strong chin pieces), and gloves. Even when riding on a hot summer day, having a thick riding jacket and long pants are necessary to prevent injury.